Common people. Maybe you heard their names in a childhood Sunday school class. Theyre not often the champions or the go-to sermon illustrations. They probably didnt stand at the foot of the cross or even hang next to Jesus on one of their own. But they pepper the pages of the Bible, reminding us that were not alone. 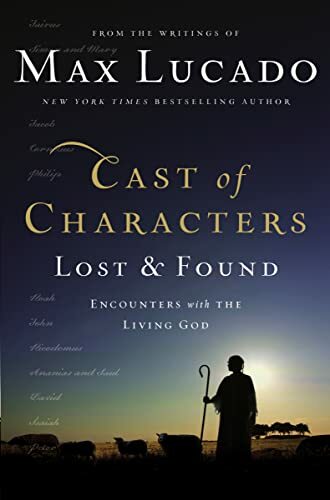 Dive into the lives of more than twenty of the Bibles most compelling characters through inspirational selections from the writings of bestselling author Max Lucado. An ideal companion volume to Cast of Characters, this book features a whole new cast and the encouragement from their stories. With more than 100 million products in print, Max Lucado is one of America's favorite writers. He serves the Oak Hills Church in San Antonio, Texas, where he lives with his wife, Denalyn, and a sweet but misbehaving mutt, Andy.